Thank you! 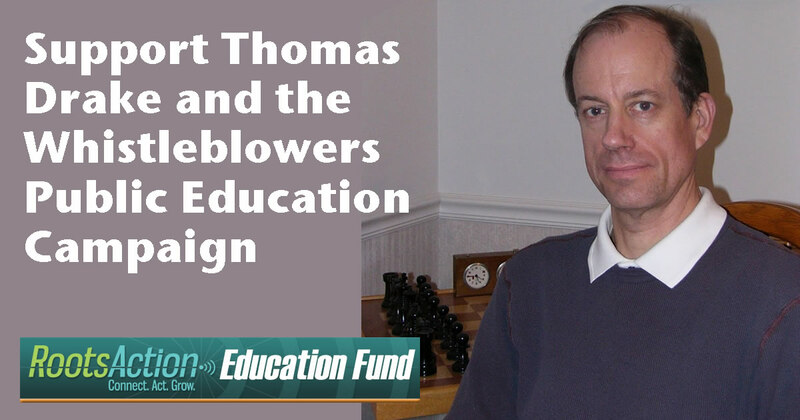 NSA whistleblower Thomas Drake and the entire RootsAction Education Fund team deeply appreciate your support. This contribution is tax-deductible in the United States. If you choose to make a donation, your credit card information will be used only for this transaction through our secure online payment system. The RootsAction Education Fund does not retain credit card information. We will send you updates on important campaigns by email.